Two years of shows and four different series for this? 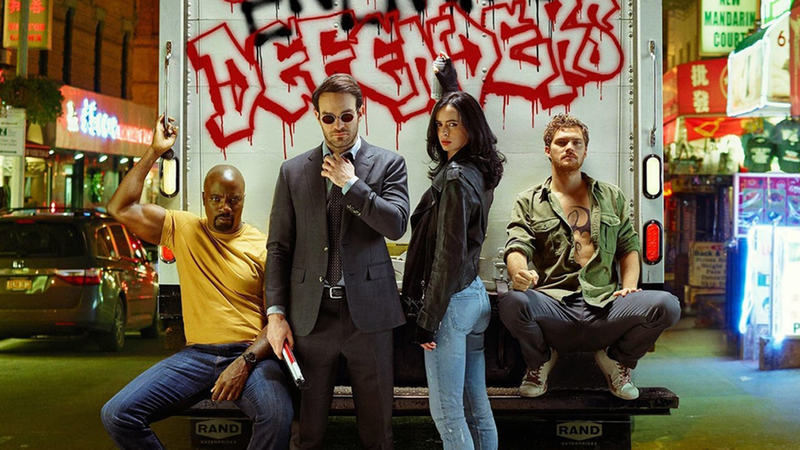 The Defenders on Netflix was okay. After watching 52 hours of shows and spending two years waiting for the culmination of what the Netflix Marvel Universe was developing, I expected better than okay. I guess I was hoping for a television equivalent of The Avengers and I was sorely disappointed. It’s not because the characters are not as powerful as their film counterparts, it’s because even with eight hours to play with, they couldn’t do what the films did in two. Make a cohesive story that gives a reason why these guys are all together. Or why they might stay together. I felt like Jessica Jones. Stuck in a world that makes absolutely no sense and thrown into a story about halfway through. They really didn’t need Jessica or Luke in this series. It easily could have been a crossover of just Daredevil and Iron Fist. They invented reasons to have the rest join in, but it wasn’t all that convincing. Sowande is The Hand’s representative in Harlem, but if they are so pervasive then why weren’t they allied or in charge of Cottonmouth’s operation in Luke Cage? Jessica’s life seems relatively “Hand-free,” even after she gets involved in a missing person’s case that brings her into contact with the other Defenders. So if we are supposed to believe that The Hand is a worldwide organization with their fingers in every pie, then why does it feel as if they are simply an accessory? Again, with eight hours to fill the showrunners could have done a better job of developing these villains. Where The Avengers got it right was they shocked the audience with a foe so massive that only together could they be defeated. The Defenders didn’t have that. There didn’t seem to be a reason these four in particular needed to fight this foe or why this was the only moment they needed to do so. Sure, The Hand might have killed a few more people, but only Danny and Matt understand that. And who is Alexandra? I loved Sigourney Weaver’s performance, but why wasn’t she featured at all in either Daredevil or Iron Fist? Why wasn’t she at least mentioned or hinted at? If she truly is the leader of The Hand, why are viewers only finding out about it now? One of the ways the MCU has been so successful is they have teased audiences for years about what was to come so they came into a film with a taste of what to expect before getting the full meal. 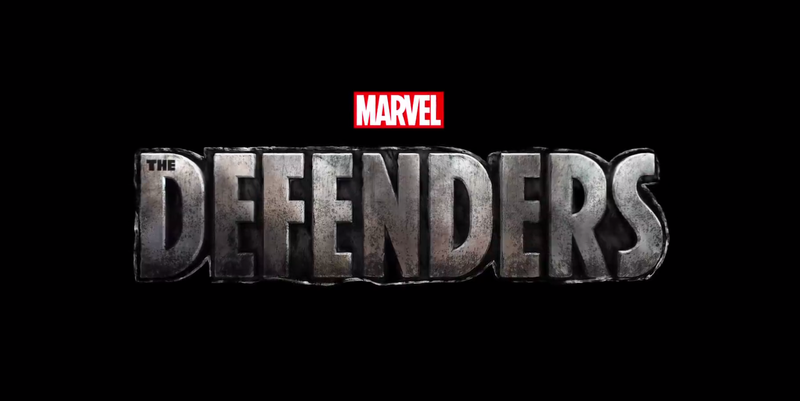 In The Defenders we are thrust into a story that has evolved for centuries with no lead in. There were SO many questions that evolved from this series that even though it came to a conclusion, I was left feeling like Jessica Jones – thrust into a story I only know a part of, and not in a good way. For instance, how did Alexandra get to be the leader of The Hand? How did the five of them break away from Kun Lun? And who were these other Iron Fists they’ve fought before? What’s more shocking is that Danny Rand didn’t know any of this either. Sowande probably is speaking exactly what viewers are thinking about halfway through this series. How is it Danny knows so little about Kun Lun having not only grown up there, but having EARNED the Iron Fist? Speaking of which, Kun Lun plays a MAJOR role in the plot development of this show and yet, we know SO little. They didn’t really develop that aspect of Iron Fist’s life, his struggles in Kun Lun, the discipline they put initiates through, why he and only he could be the Iron Fist. And how it all ties in to The Hand. They do explain some of it in convenient dialogue, but there is no emotional connection as to how important Kun Lun is or why it’s so important to The Hand or anything else. There were other failings as well, but hard to get into without giving any of the plot away. So what did they get right? Jessica and Luke. Jessica provides some of the lightest moments in the show with her grounded personality and Luke gave perhaps the most insightful speech in the show when he and Danny first sit down and talk to each other. Luke, angry at Danny for nearly beating up one of the kids from his neighborhood, says to Danny, “I know privilege when I see it. You may think you earned your strength but you had power the day you were born. Before the dragons, before the “chi,” you had the ability to change the world without getting anybody hurt.” And Danny responds, “These people won’t be stopped that way.” Maybe he’s thinking that will help Luke see he’s doing what’s necessary, but Luke answers by saying, “Oh, so you’re taking the war to the ones at the bottom, is that it? If I were in your shoes, I’d think twice about using that thing on people who are trying to feed their families.” Truth! Overall, there are good moments but the series itself was disappointing. I don’t even know if it’s all that necessary to see it except to know that at the end the villains are defeated and the good guys survive. Thankfully, it’s only eight episodes instead of thirteen. I don’t know if I could have taken 13 hours of disappointment. Next Next post: Pin Trading 201: An American in Paris…With Pins!